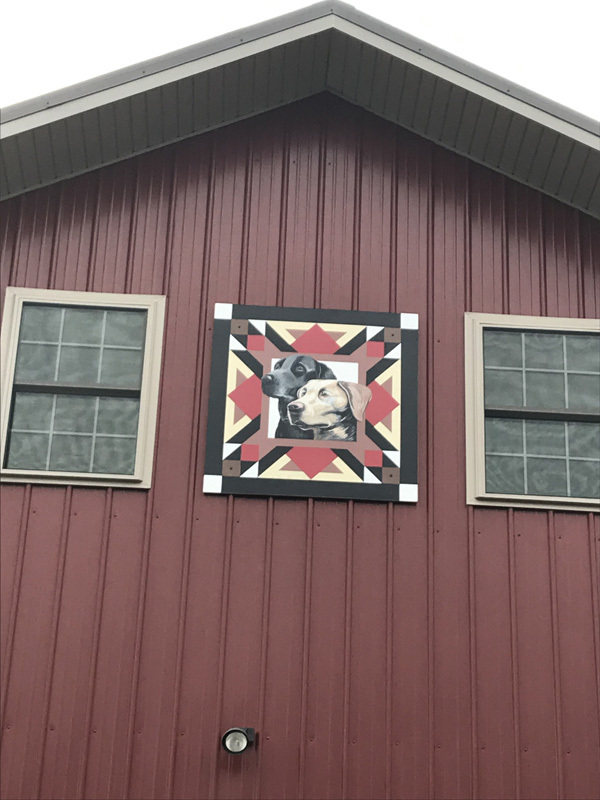 “Love our Labs” barn quilt was designed with a warm heart. When Kris and Deb joined together, brought along the loves of our life and our two loyal canines. The four corners represent our children, Dalton, Carly, Evan and Cory. The Yellow lab represents Lilah and Black Lab represents Bo.